Ideal for printing small quantities of high quality bespoke colour labels, the new Primera LX500ec is a great place to start if you are thinking of printing your own on-product labels in-house. The LX500ec is based on its hugely successful predecessor the LX400e, but now has an improved print speed allowing print jobs to be completed much faster than before. The LX500ec also has an integrated guillotine cutter which is able to separate labels or tags after printing for ease of storage or distribution. Many different blank label sizes are available in both paper and synthetic media, everything you need to get started is included in the box. The printer driver is currently PC and Mac OS compatible. The Primera LX500ec uses cutting edge inkjet technology to print at a very high resolution using bold bright colours. 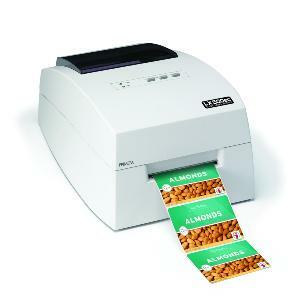 An internal label roll holder protects the labels from dust and maintains the LX500ec's compact footprint. Also included with the printer is a copy of the NiceLabel label design software (PC only) which will allow you to layout your label designs easily prior to printing, alternatively BarTender Ultralite can also be downloaded from our website if preferred better for UK support by KTEC. 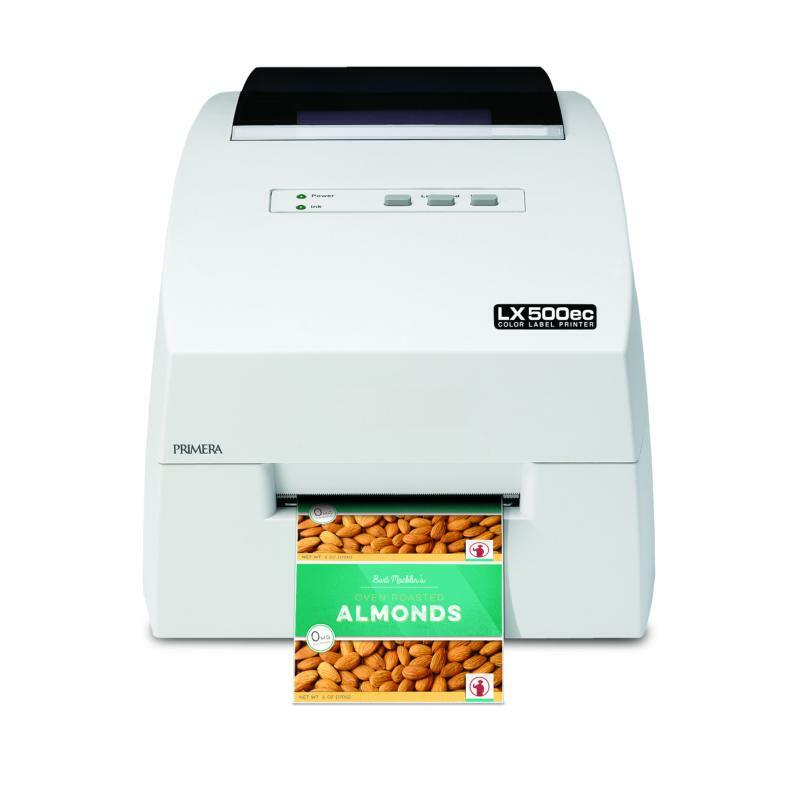 The LX500ec can also print directly from most other software packages. This Primera product is supplied with a 12 month return-to-base parts and labour warranty. The option to increase the warranty to a total of 24 months free of charge is offered subject to the customer registering the product with Primera immediately following purchase (details provided with product). The customer is responsible for all shipping costs associated with returning the product to KTEC's workshops for repair under warranty. 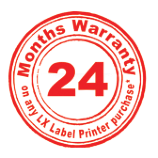 The provision of a loan printer for the period of any repairs is not covered by this warranty. The warranty is not an "on-site" service. 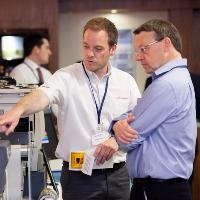 On-site service options are available at additional cost.